Reboot: 2016. Are You Ready? The other tradition we have for this day is DEEP CLEANING. I know, I know, that doesn't sound so fun. (Actually, cleaning and organizing is one of my favorite things to do, but I'm weird like that. 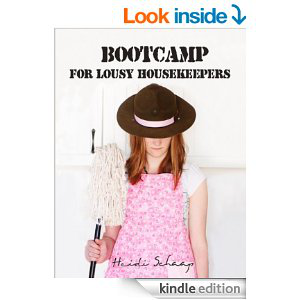 ;) But seriously, there is something deeply satisfying about starting a new year with a clean house. 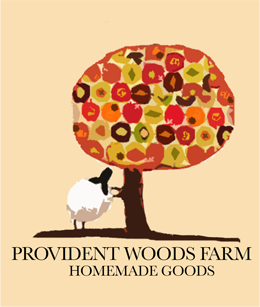 I know in reality it's just another day on the calendar, or as Barry Manilow puts it, "Just a night like all the rest" -- But for me, mentally, it's a day to shift back into "make my home a better place for my family to thrive" mode. There's no way I can do a deep clean and thorough organizing session in every room in one day, but I love to pick out the trouble spots that have been grating on me and chuck unneeded stuff, tidy up what's there, and deep clean all over. Seeing those freshly tidied spaces gives me the inspiration to keep going in the weeks and months to come! 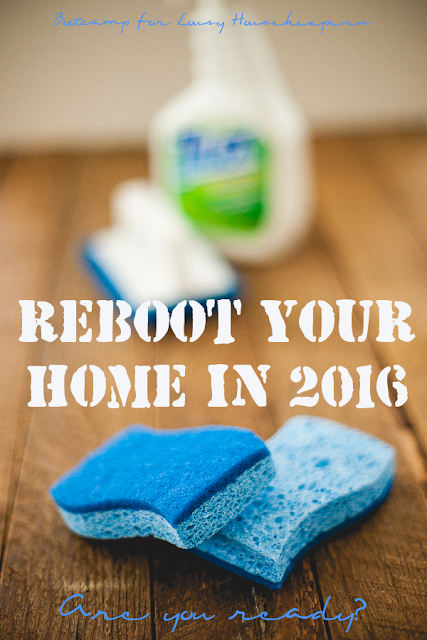 Do you feel like you need help rebooting your home in 2016? Perhaps you lack motivation, or maybe you are seriously overwhelmed and have NO IDEA where to start? Good news! 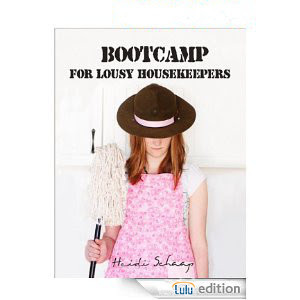 Bootcamp for Lousy Housekeepers is on sale from January 2 - 8, for just $1.99! My hope and prayer is that many of you amazing, but overwhelmed homekeepers out there will be able to pick up a copy for yourselves and start the journey from being "messed to blessed." Please write me or leave a comment if you need more help and guidance. I LOVE reading your mail!! I sincerely wish you all a New Year full of blessings, overcoming challenges, and becoming the homekeeper you wish you could be.